If you hear the name Charlotte Bronte and only think Jane Eyre, well, though we don’t blame you (How many professors do you know who teach The Green Dwarf? ), we do think that maybe you should be just the teeniest, tiniest bit ashamed of yourself. Jane Eyre is a great book, but it’s far from being the only great thing Bronte wrote. 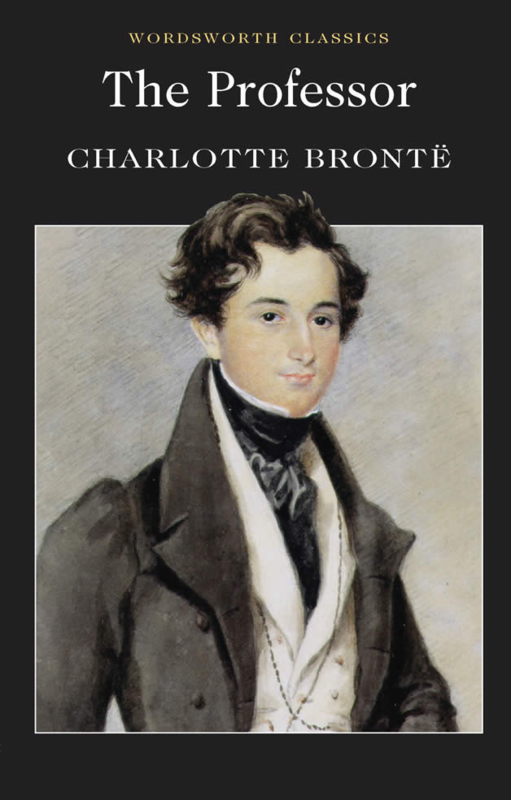 Today marks the 198th birthday of Charlotte Bronte, and we’d like to urge you to celebrate not with Jane and Rochester, but with one of the 10, lesser known Bronte books below. Happy reading — and happy birthday to Charlotte! You don’t look a day over 180. If you’ve experienced your fair share of rejections, know that you’re in good company. The Professor is the first novel Bronte wrote and was passed up by many presses before it was eventually published in 1857, two years after her death. The book focuses on the life of the orphaned William Crimsworth, beginning when he was just a boy and following him through his career as a professor at all-girls school. There is something about reading the personal letters of someone — even someone who is very, very dead (as opposed to just a little bit dead) — that feels scandalous. Yes, they’ve been edited and published, but you still get the thrill of reading words that were never meant for your eyes. Selected Letters provides insight into Bronte’s personal life, her family life and her opinions about society at the time. At 18, Bronte created the imaginary kingdom of Angria with her brother. The two wrote Byronic stories about Angria for over five years, proving that Bronte could write fantastical fiction just as great as her realism. The publication of Tales of Angria features the last five Angrian tales. Bronte’s fourth novel tells the story of Lucy Snowe, who, after a family disaster, leaves England for the fictional French city of Villette to teach at a girls’ school. Lucy is quintessentially Bronte: resilient, independent, intelligent — one of literature’s greatest female protagonists. Shirley is Bronte’s second published novel and arguably her most political one. It was her goal to write a book that focused on “something real and unromantic as Monday morning,” which she most definitely achieved. The novel is set in Yorkshire during the industrial depression, and follows the lives of Shirley Keeldar, a wealthy young woman who inherits a local estate, and Caroline Helstone, a less fortunate woman than Shirley. The novel contrasts the two women to provide astute social commentary about the 19th century and is a must-read for any Bronte fan or English history buff. There are plenty of Bronte biographies out there, but they all pale in comparison to Gaskell’s. She was a close friend of Bronte, and she recounts Bronte’s life from childhood through marriage at 38 and her tragic death less than a year later. It’s a captivating first-hand account of what Bronte’s life and mind were like. 7. Emma by Charlotte Bronte and "Another Lady"
“Whaaaat?” you say. “Isn’t Emma by Jane Austen?” Yes, yes. The more commonly known Emma is indeed by Austen, but it’s also the title of Bronte’s last novel, which she started in the very last month before her death. She passed away before she could finish it, but left us with the startings of a captivating story about a terribly oppressive boarding school. Using both Bronte’s notes and the power of imagination writer, Constance Savery completed the manuscript. A novella written by Bronte when she was just 17, The Green Dwarf showcases the astute storytelling skills that would define her later fiction. Though the book is only 116 pages, it manages to pack in a lively and captivating story. Admittedly, it’s not Bronte’s best book, but it does provide a glimpse of the imagination and skill she had so young. What were you doing at 17? Stealing booze from your parents? Yeah, that’s what we thought. The seed for Tales of the Islanders was first planted when Bronte’s brother received a gift of 12 toy soldiers. Bronte named the little soldiers The Twelves and created a complete narrative around them, collected in Tales of the Islanders. It’s yet another example of the precocious skill Bronte exhibited. Bronte was such a talented novelist that it’s easy to forget she was also a skilled poet. Poems by Currer, Ellis and Acton Bell features poems from all three Bronte sisters. In an effort to combat prejudices against women writers, Charlotte, Emily and Anne made the decision to write under androgynous pen names. It’s the first book that Charlotte — or should we say Currer Bell — ever published. How will you be celebrating Charlotte Bronte’s birthday? Locking your ex in a closet? Locking yourself in a closet and speed reading the 10 above books? Let us know in the comments below.